these feather hair extensions were designed for easy application. The range of Emu Feather offered by us is highly demanded in the customers. 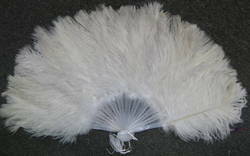 These feathers are used as feather dusters as well as feather pads. Before painting, Emu feathers are used for metal finishing in an efficient manner. We make sure to deliver the ordered Emu Feathers at the clients' end within the stipulated time frame. The feathers of the Emu bird are double quilled, attractive and velvety to the touch. They are soft, light and non-allergic, which makes them the ideal material for a host of applications. They are in demand both in the fashion and in art and craft industries. We are producer, supplier, wholesaler, retailer and trader of Emu Feather. These can be used for every thing from crafts and decorating to fly fishing and much more. Our organization is engaged in offering Emu Feather, which is procured from the reliable vendors of the market. These feathers are less costly as compared to ostrich feather. The feathers offered by us are widely demanded in the fashion, art and craft industries. We are a trusted Supplier of Emu Feathers. The Emu Feathers, which we offer, are used in different sectors such as fashion, craft, art, etc. 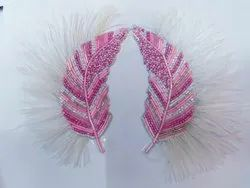 Our Emu Feathers find use in the production of household items such as feather duster, feather pad, fans, weather-proof apparels, bows, pillows, blazers, sweaters, jewelry, etc.